Strongly rectangular design with or without lip offsets can be modified with clipped or rounded corners. 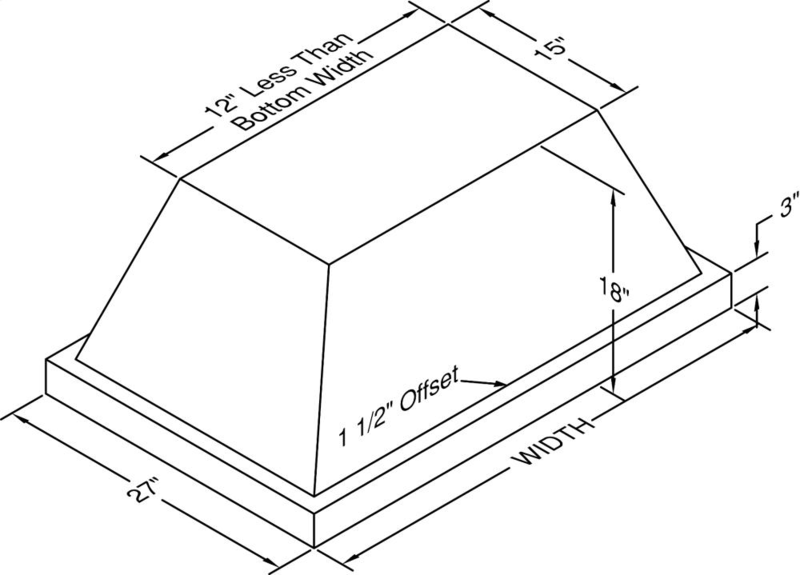 Optional rectangular, square, or round duct covers can nicely complement this island hood. Click on the models for a list of our base model numbers for standard sizes; simply select the model you need, and then specify the finish [painted, stainless steel, real brass, real copper, or hammered copper]. Recommended mounting height is 30" above the cooking surface. 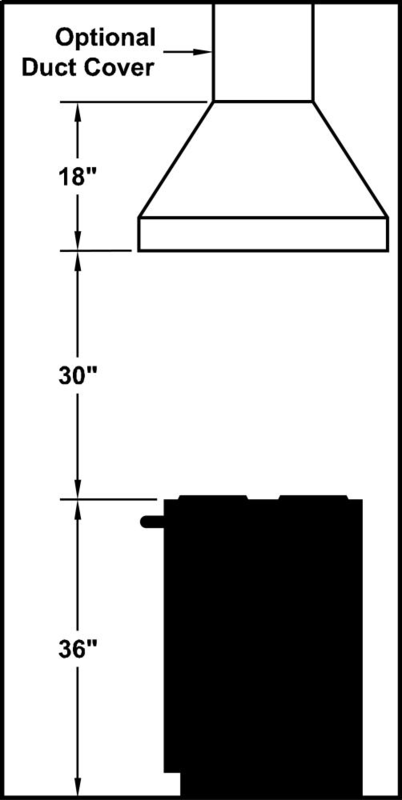 Shown with matching island duct cover[s] [sold separately], available in standard sizes for 8' ceiling heights or in custom sizes. All Vent-A-Hood products are suitable for use in damp locations [outdoor applications such as a covered patio] when installed in a GFCI protected branch circuit.